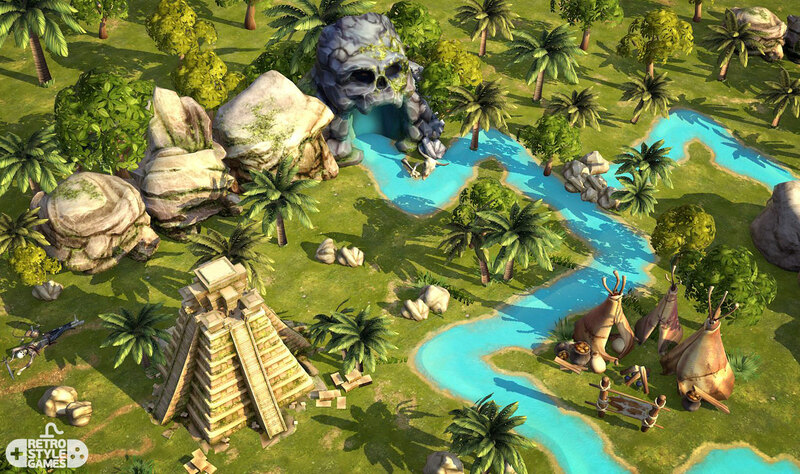 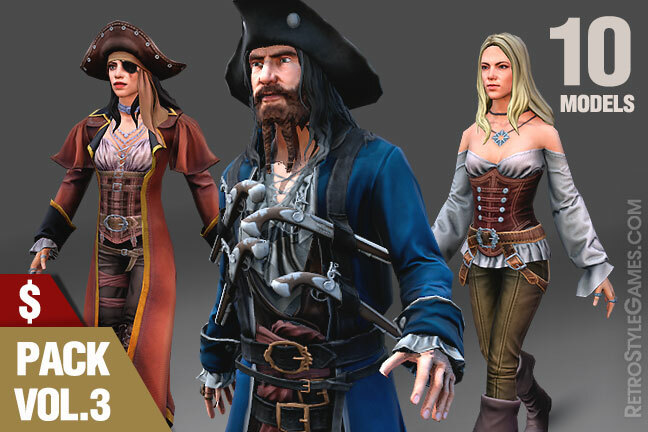 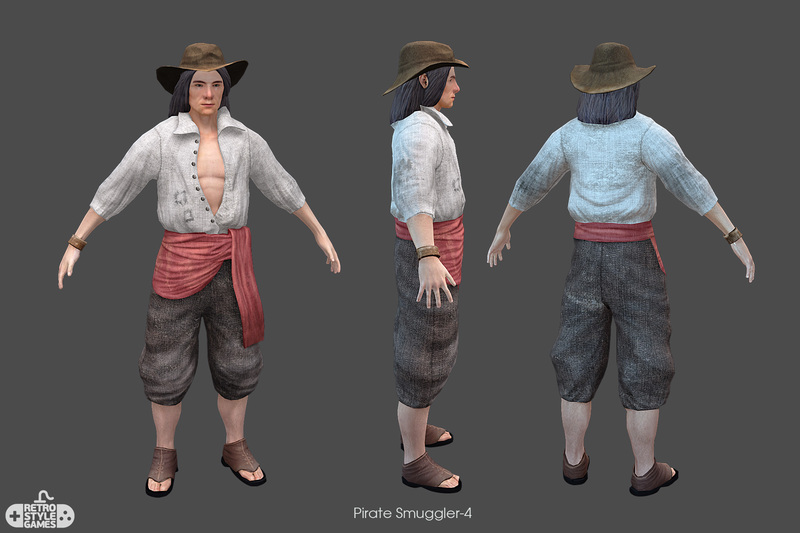 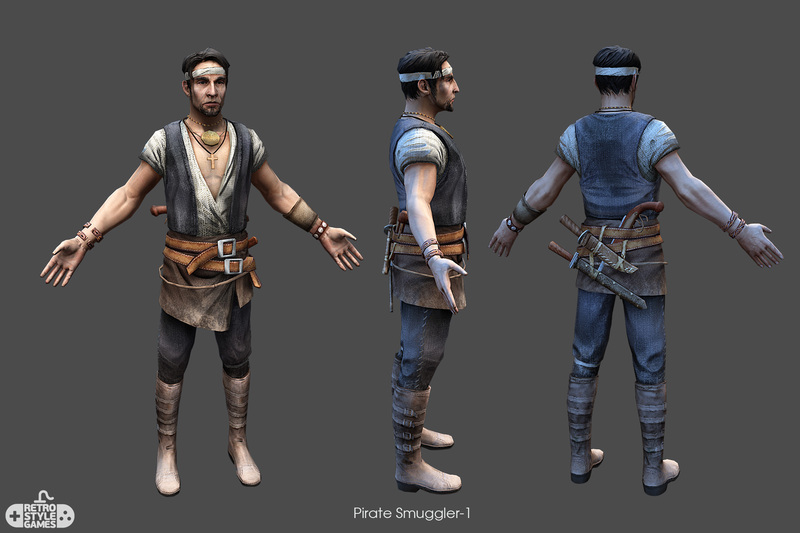 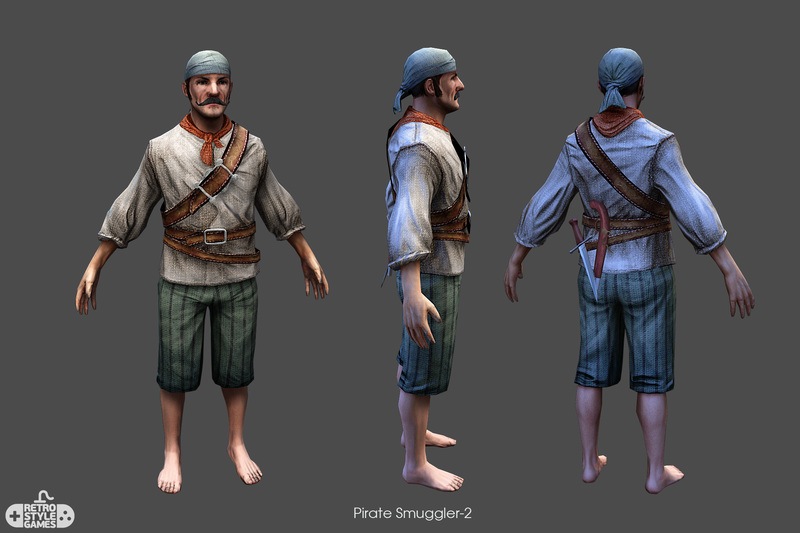 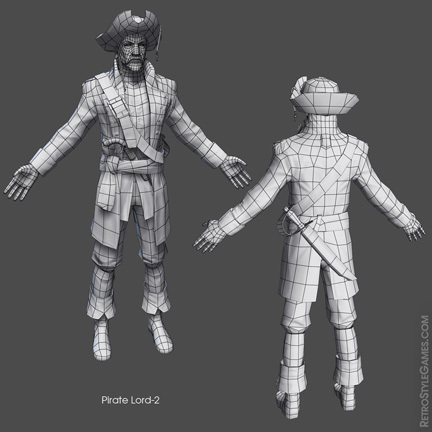 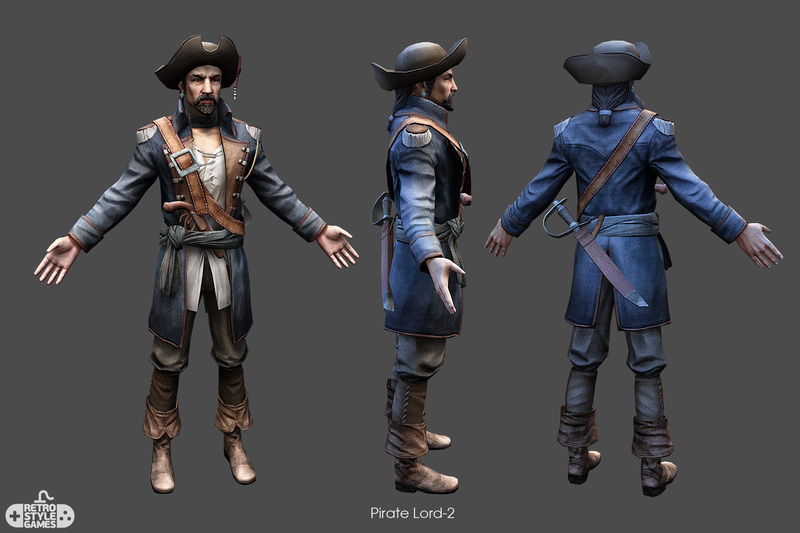 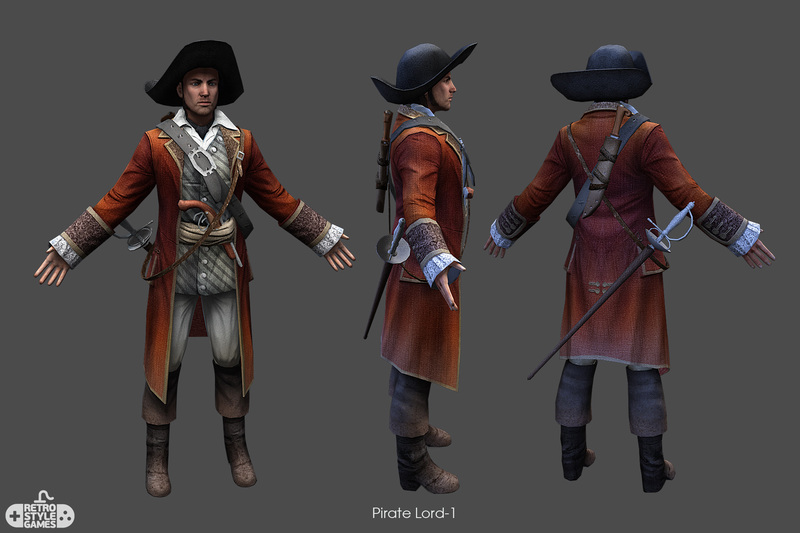 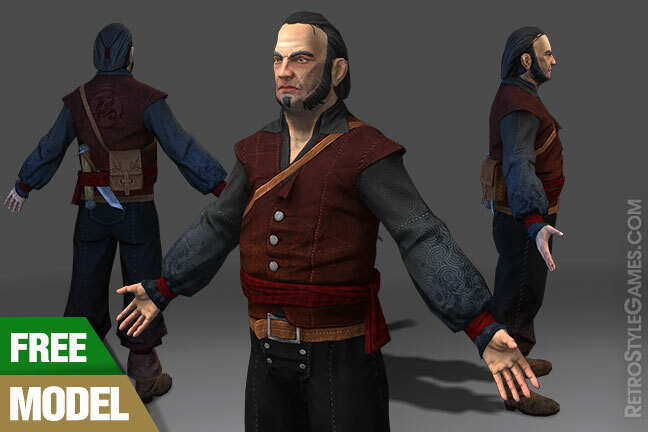 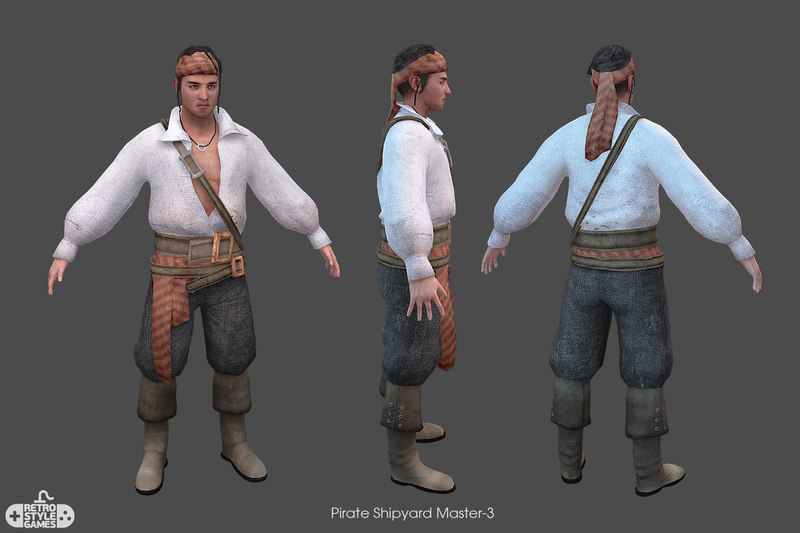 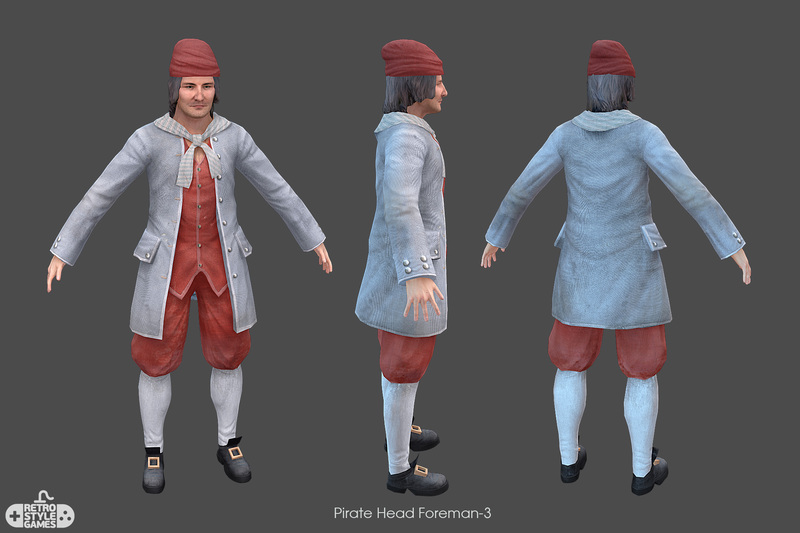 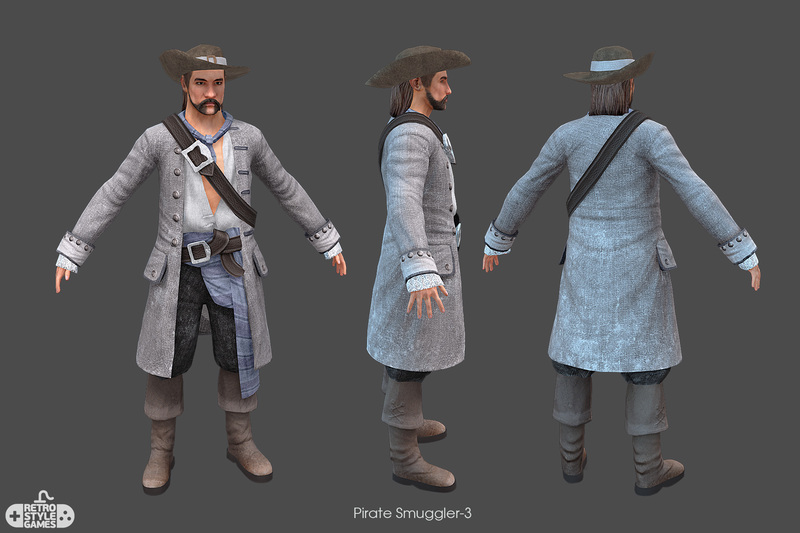 RetroStyle Games created more than 30 real-time pirate characters for MMO game. 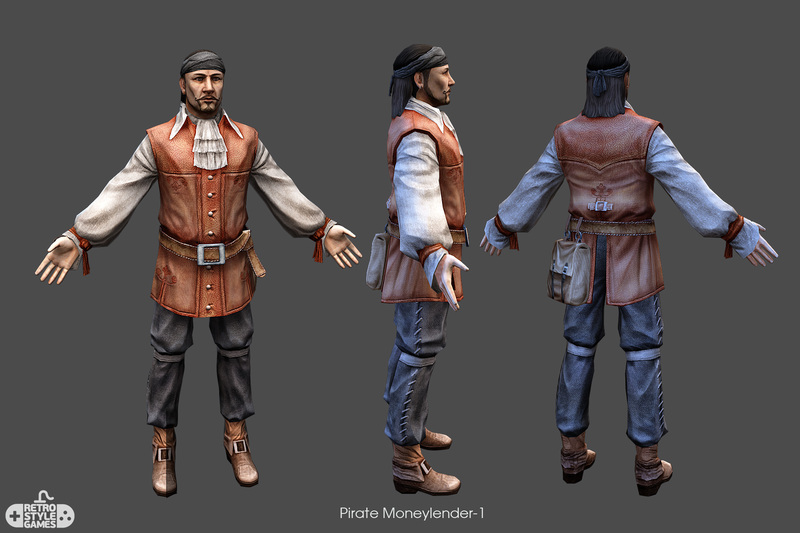 All of the models come with Diffuse and Normal maps. 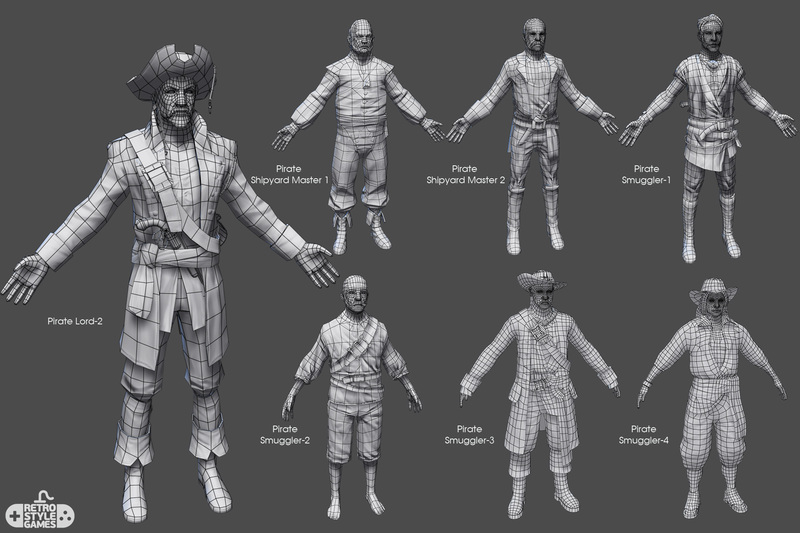 They are rigged and skinned. 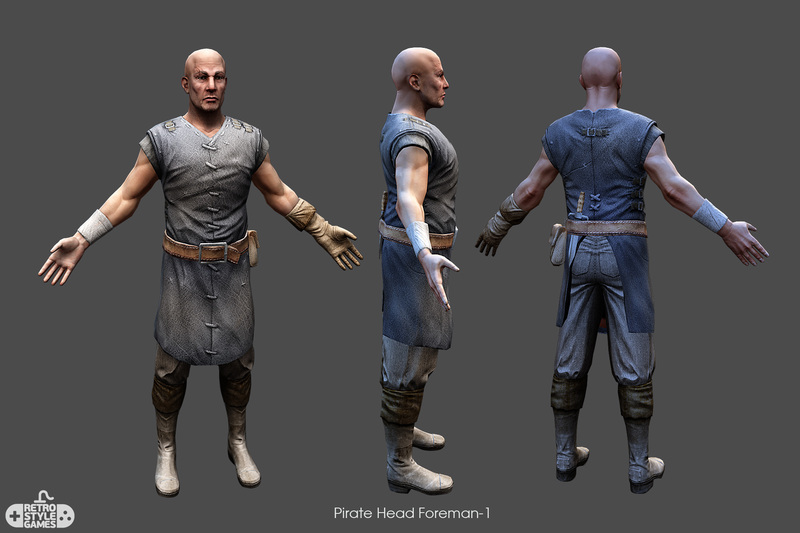 And also have basic walk animation. 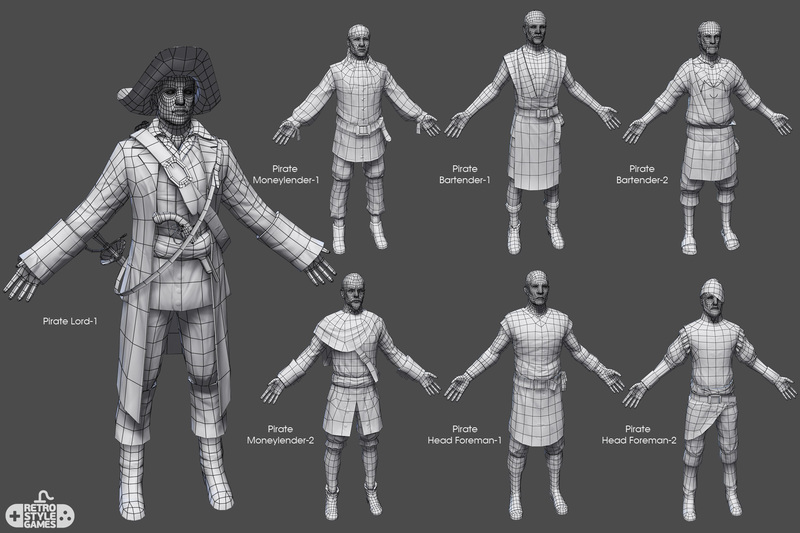 You can use them in game engines such as Unity and Unreal. 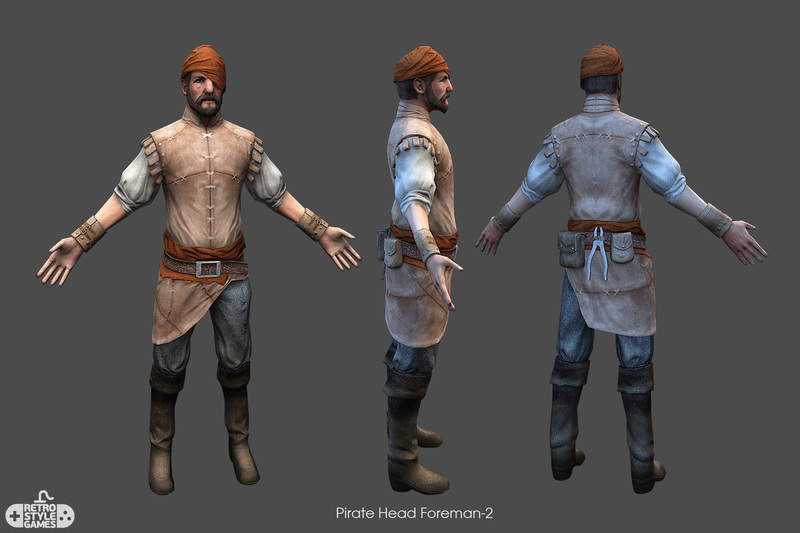 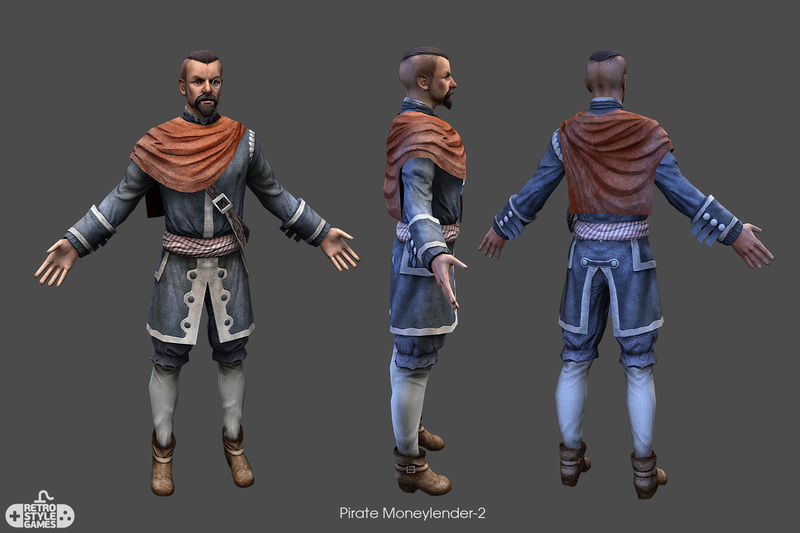 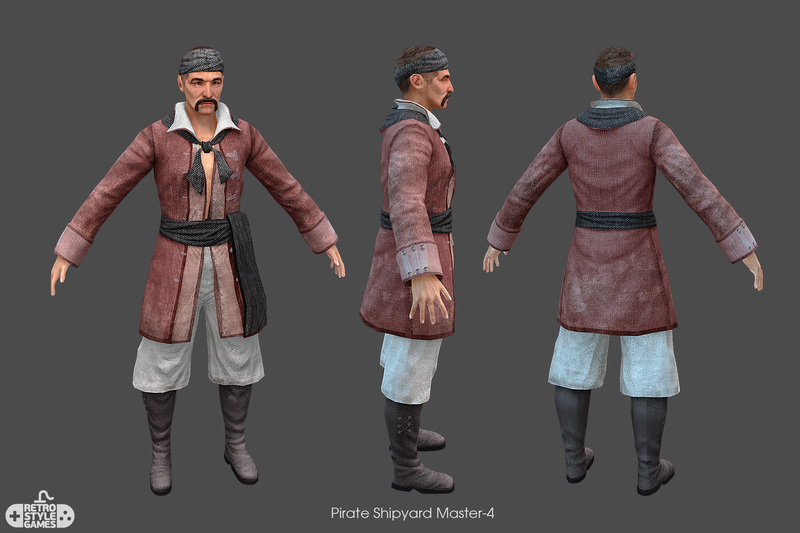 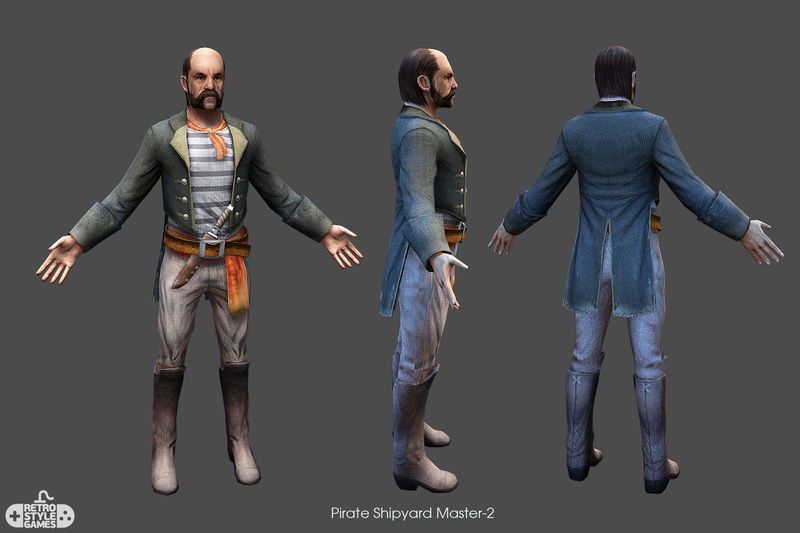 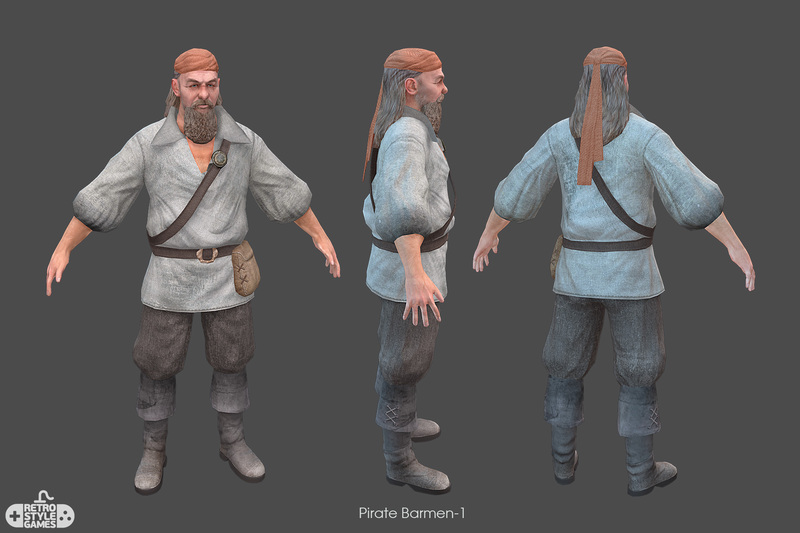 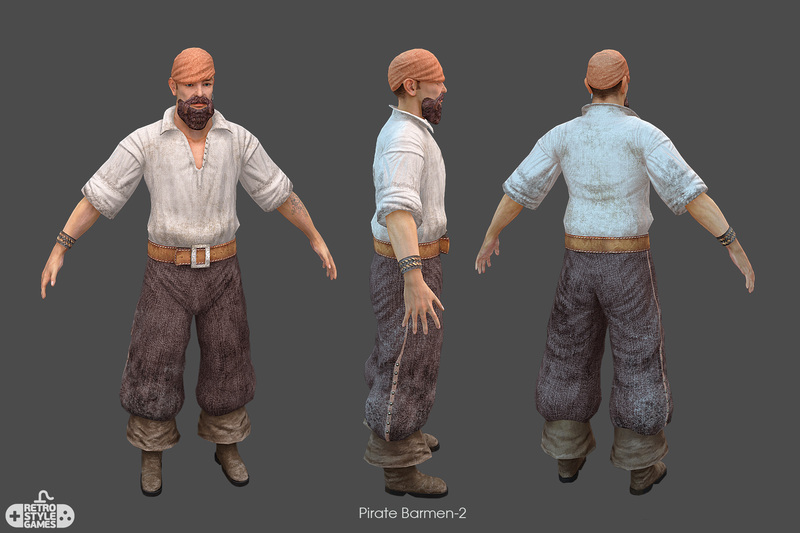 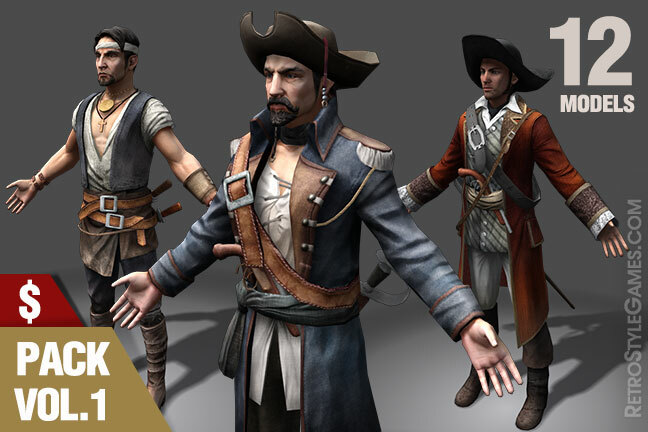 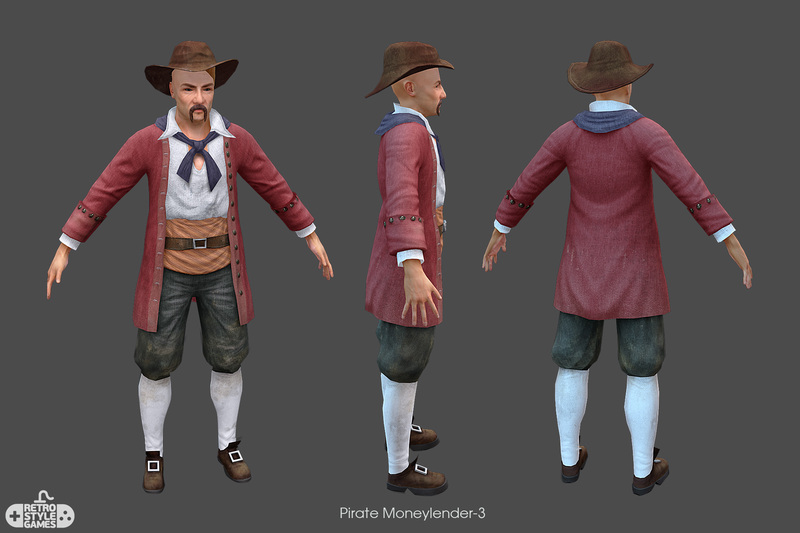 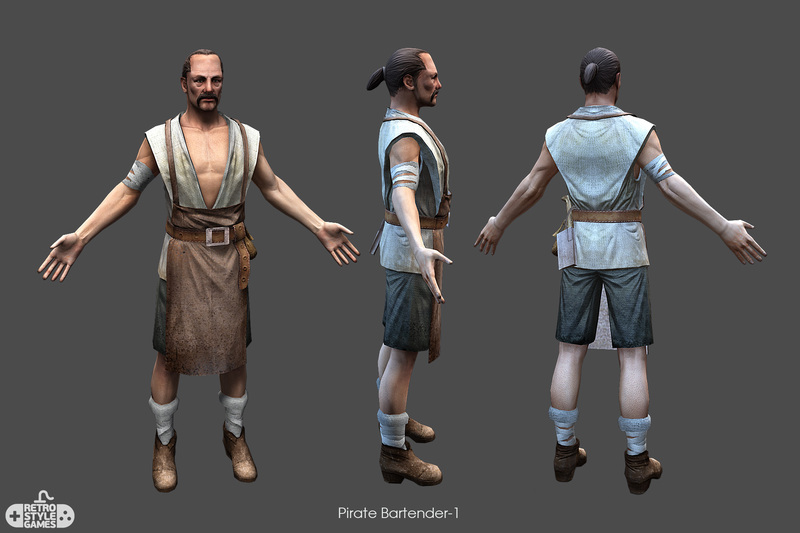 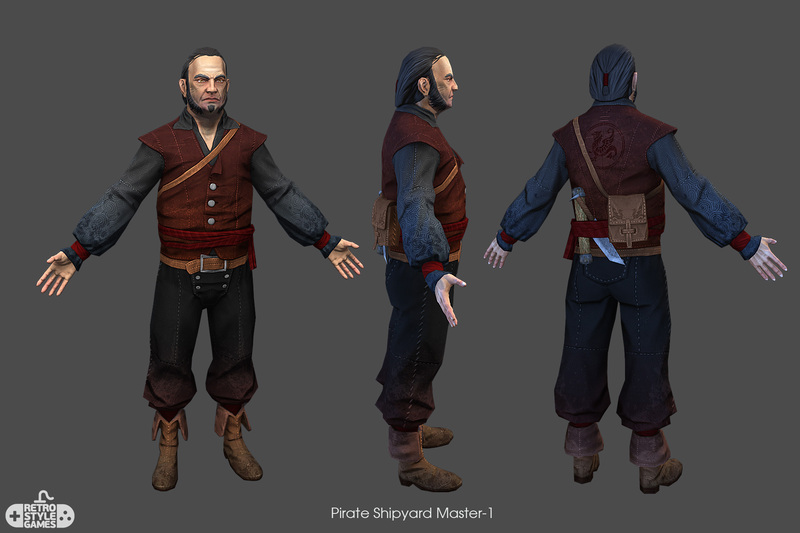 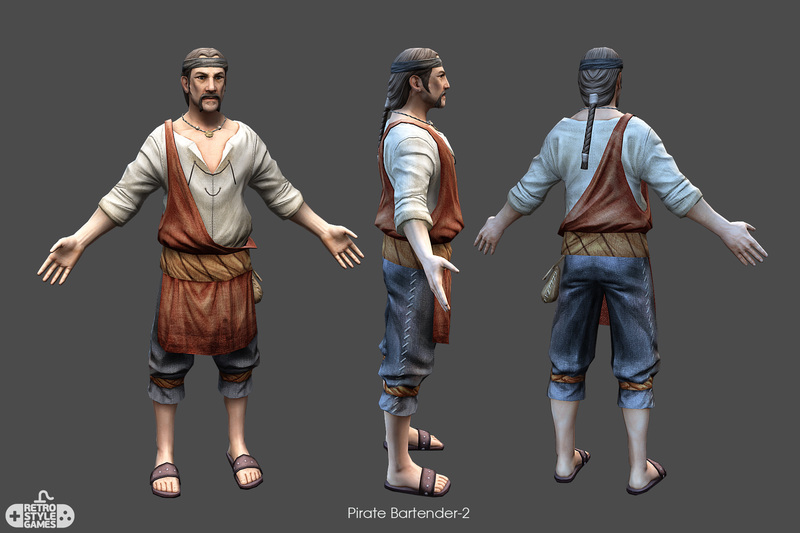 Collection includes next Pirate Characters: Barmen, Bartender, Head Foreman, Lord, Moneylender, Shipyard Master, Smuggler and more. 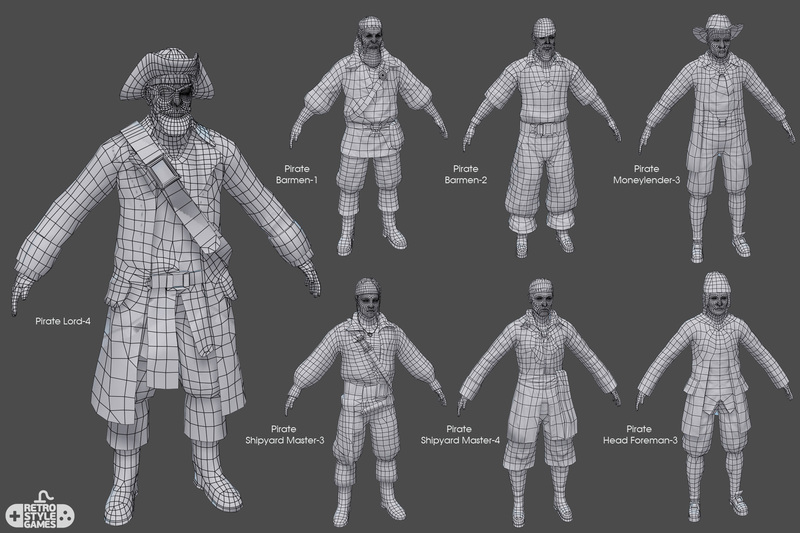 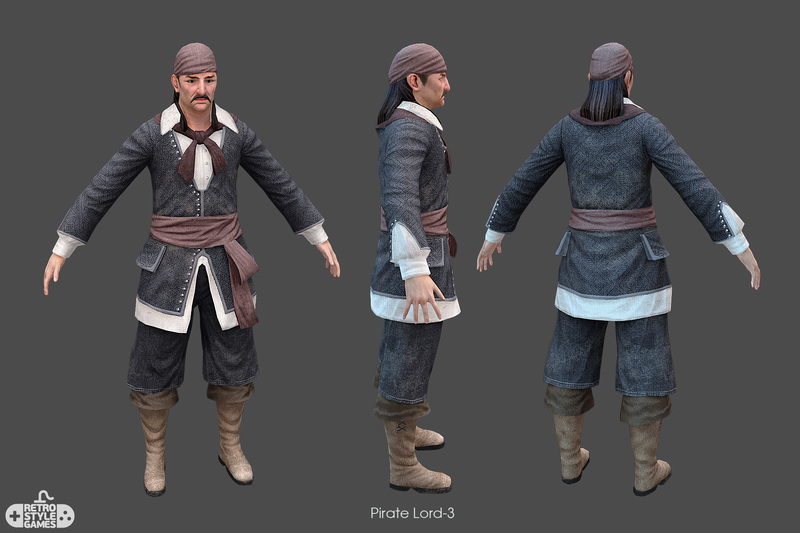 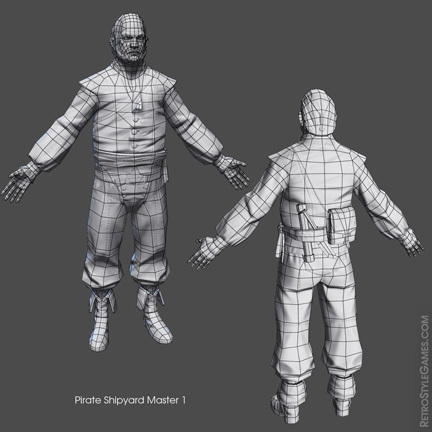 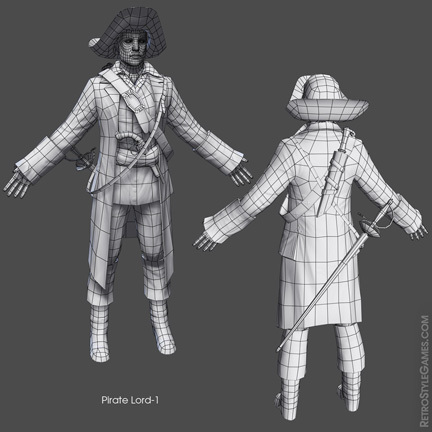 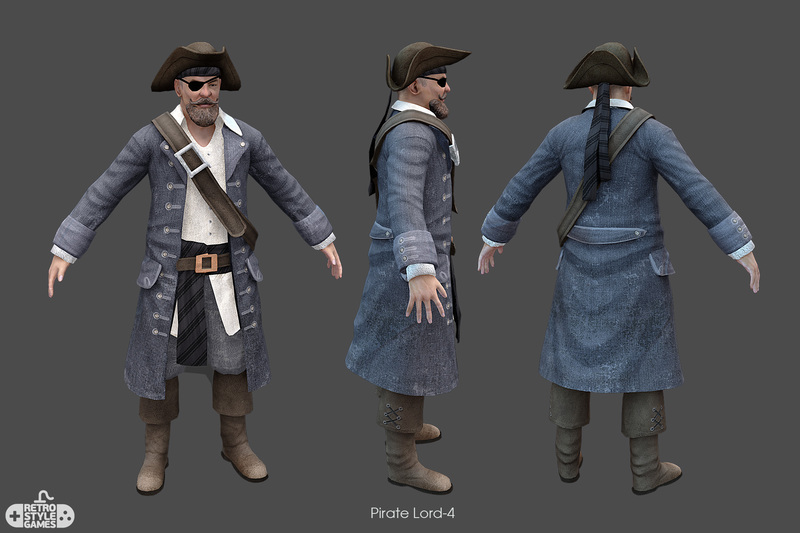 Free Pirate model is available for testing purposes. 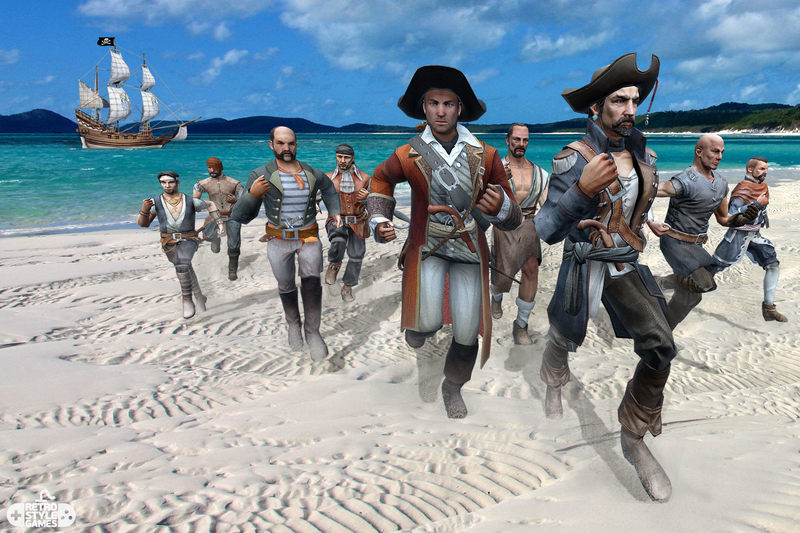 All the stories about pirates can not do without their main assistant – the Pirate Ship. 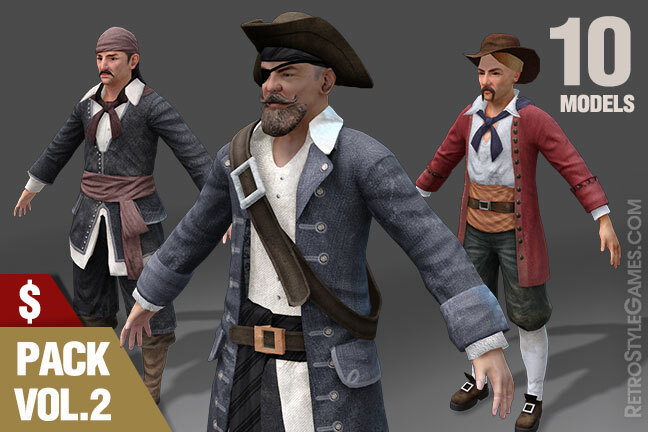 The faster the ship the more successful the pirate! 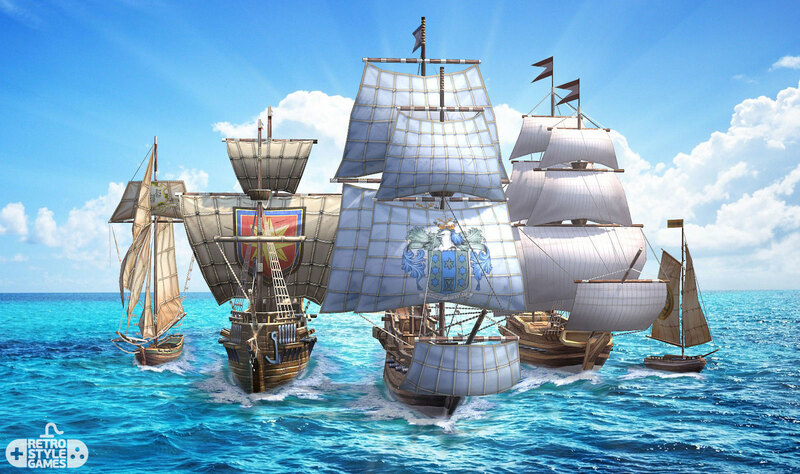 5 quality pirate ships low poly with realistic textures.